From the heart of Kansas, the ruby red slippers cherry almond scones are amazing! The scones are light, sweet, and easy to make-they just need water. 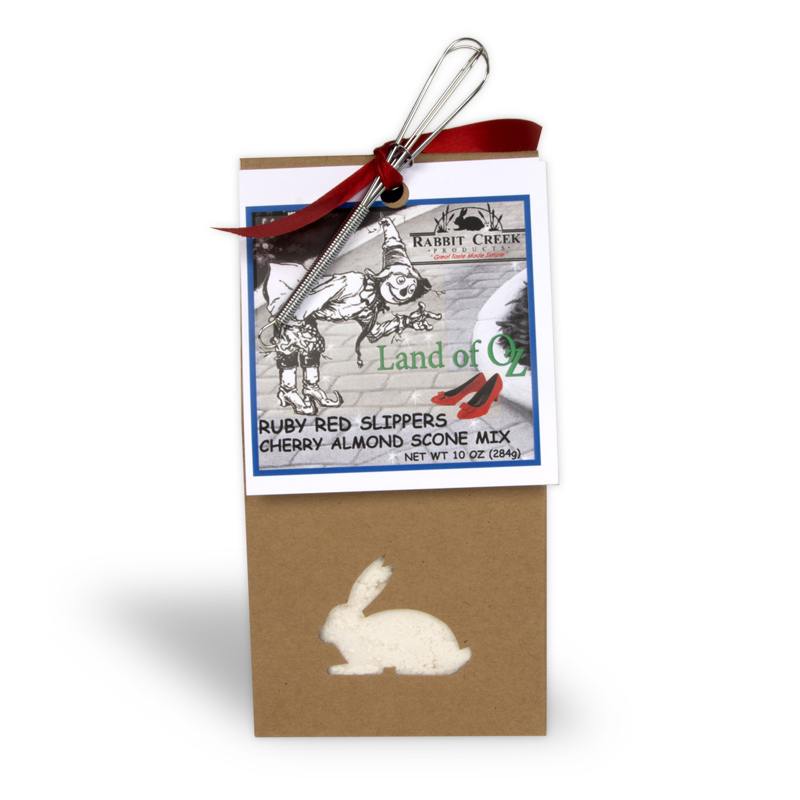 They make the perfect treat to tuck in a basket and carry along on an adventure. Makes 1 dozen scones. By Rabbit Creek Products of Louisburg, Kansas. Named for a nearby stream, Rabbit Creek Gourmet Products of Louisburg, Kansas, creates flower pot breads and muffins to taste of old fashioned cooking with a designer style. Donna Cook founded the company, which she named after a creek that runs through a nearby eastern Kansas town. Rabbit Creek Products emphasizes the state’s role as a leader in wheat production. Cook also highlights the state’s cultural mix through her product selections. The traditional country food influences come from Germany, Sweden, and other parts of the world. Cook grew up in this diverse food environment. She works to capture the taste of old fashioned cooking with a designer style and share it with customers everywhere.